NO Showings till Tuesday, August 15th. All pictures will be up on Tuesday as well. Adorable and well kept home in Overland is a MUST-SEE! 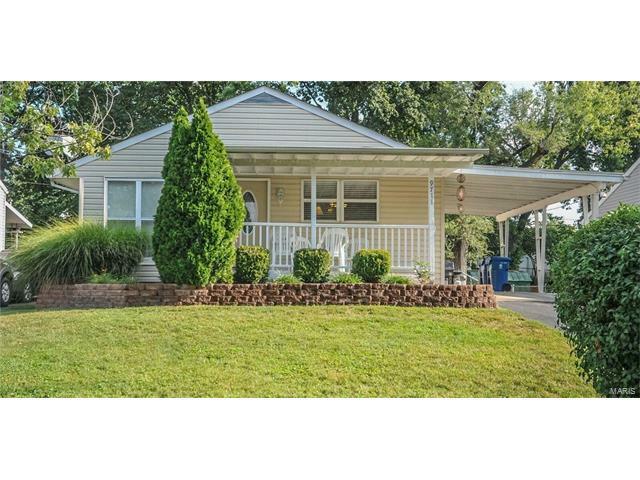 This 3 bedroom ranch has an inviting porch and nicely landscaped yard..but that's not all. Inside you will find hardwood floors throughout the living room, dining room, and bedrooms plus updated flooring in kitchen and baths. The kitchen boasts lots of cabinets and has a beautiful backsplash. Neutral colors throughout the main living spaces helps make this home move in ready! Don't forget the finished basement with bar and extra room that can be used as a sleeping area, den, or playroom. Priced to sell, don't wait before it's too late..view this home today! 270 to Page and turn left on Spencer Ave then left on Miriam. House is on right.